Plaintiff brought a products liability action against Ford Motor Company, alleging that one of Ford’s pick-up trucks was defectively designed because it utilized tempered, rather than laminated, glass in the vehicle side windows. The legal issue presented was whether Plaintiff’s claim was impliedly preempted by Federal Motor Vehicle Safety Standard 205, which expressly provides manufacturers with the choice between installing tempered glass or laminated glass in side windows. The South Carolina Supreme Court answered yes to that question, but the U.S. Supreme Court sent the case back for reconsideration in light of an intervening decision. 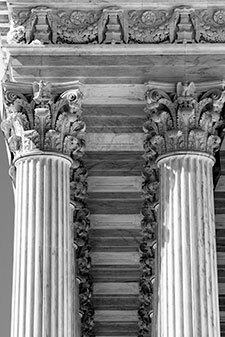 We filed an amicus brief on behalf of the Product Liability Advisory Council on round two before the South Carolina Supreme Court, successfully arguing that Plaintiff’s claim remained impliedly preempted by the federal regulation.